Perfect for those who haven’t slept on memory foam, it combines the conforming support of TEMPUR material with a cushion-soft feel. 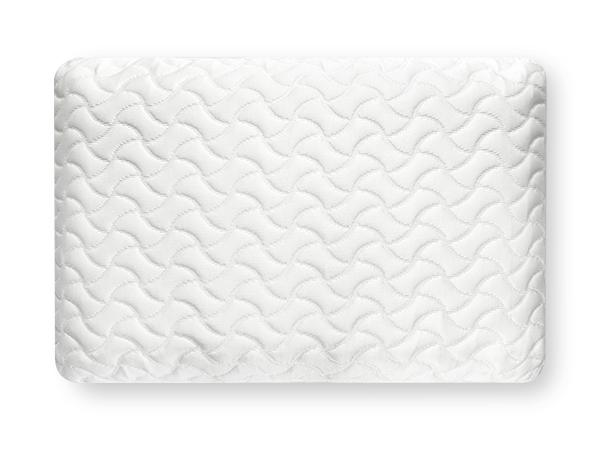 The TEMPUR-Cloud pillow is great for those who are new to memory foam. Its lower profile and soft feel is similar to a traditional pillow, and works for all sleep positions. Adapts to your head shape and temperature for personalized support. Made with soft, knit fabric, and washable as well. Conforms to your head for long-lasting support through the night. Like traditional pillow, has a lower profile 5". 15 3/4" x 24" x 5"
Sorry, given its use as personal item, bedding may not be returned. Read our Return Policy.